WASHINGTON, DC – After a month long delay in the transfer of mandatory funding to two affordable housing funds, the Federal Housing Finance Agency (FHFA) today announced it is providing payments of $244.86 million to the Housing Trust Fund (HTF) and $131.84 million to the Capital Magnet Fund (CMF) pursuant to the bipartisan Housing and Economic Recovery Act of 2008. U.S. 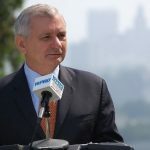 Senator Jack Reed, who led the effort to establish the HTF and the CMF, and who is a senior member of the Senate Banking Committee, cheered the payments being released. 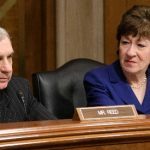 Earlier this year, Reed, along with Senator Susan Collins (R-ME), the Ranking Member and Chairman of the Senate Appropriations Subcommittee on Transportation, Housing, Urban Development and Related Agencies (THUD), sent a letter to FHFA Director Joseph Otting calling on the agency to continue funding the national Housing Trust Fund and Capital Magnet Fund. Senator Reed first began working on affordable housing trust fund legislation back in 2000 and created the HTF and the CMF in 2008 as part of the Housing and Economic Recovery Act to enable housing agencies to build, preserve, and rehabilitate affordable housing for residents with extremely limited means. The CMF was also designed to increase investment in related economic development activities or community service facilities, such as workforce development centers. The HTF and CMF were established in 2008 but were not funded by Fannie Mae and Freddie Mac before they were placed into conservatorship. In late 2014, the Federal Housing Finance Agency, which oversees Fannie Mae and Freddie Mac, independently determined that their financial operations stabilized to a sufficient level to permit contributions to the HTF and CMF. Prior to today’s announcement, Rhode Island has received $9 million in HTF funding and $12.1 million in CMF funding.